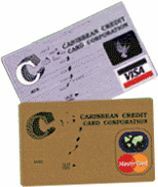 Welcome to Caribbean Credit Card Corporation, the Leading Financial Card Services Provider in the Organization of Eastern Caribbean States (OECS). 4Cs is the professional service organization which manages Credit Card Portfolios and Merchant Transaction Processing for the leading financial institutions throughout the islands of the OECS and the Caribbean. For our CardHolders, our Card Inquiry Online Service provides convenient instant access to your account information. If you are an existing client and would like to register to use the service or access your account, click below. Merchants can obtain information regarding our transaction processing services with Visa and MasterCard certified processing technologies and information security to protect the integrity and privacy of all of our clients. 4Cs processes on behalf of our partner Member Banks. "We believe our first responsibility is total customer satisfaction from all our products and services."